Elvira Hamilton’s parents are taken from her on a terrifying night in 1901. They are the victims of a war raging in the shadows of Edwardian England — a struggle between wielders of supernatural powers known as Marked and the violent Radicals who are hunting them to extinction. With little choice but to flee, seventeen-year-old Elvira and her young sister stow away aboard the RMS Celtic in hopes of reaching safety in America. But they soon discover that the war they left behind has followed them, and that there is no escaping the Radicals. In her struggle to survive aboard the ship, Elvira meets Adam Laurence, a mysterious and handsome young man from first class. She must decide whether to trust him, and whether to tell him her secret — that she is Marked, yet has no powers. If she reveals her true nature, her fate will be in his hands. But if she lies about her past, she risks losing the only ally she has. 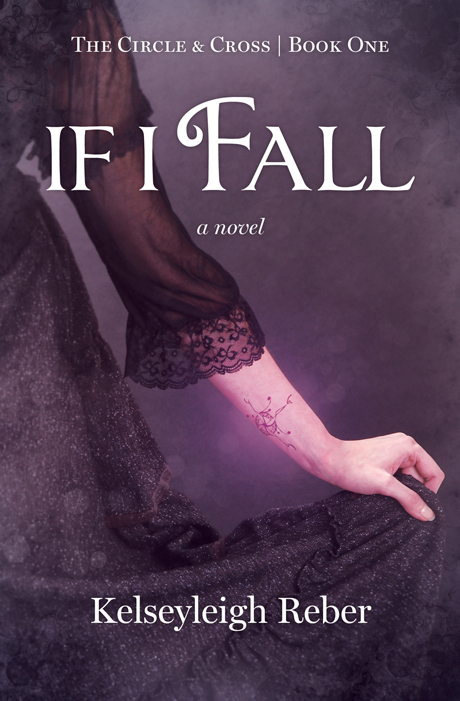 If I Fall is the first of three books in the Circle & Cross saga. Kelseyleigh Reber lives in Pennsylvania with her family where her favorite room remains her bedroom-turned-library. Having loved reading and creating the written word since she was a small girl, Kelseyleigh is a self-professed bibliophile with a passion for both the fantastical and historical. She also has a strong passion for chocolate, but that book has yet to be written.